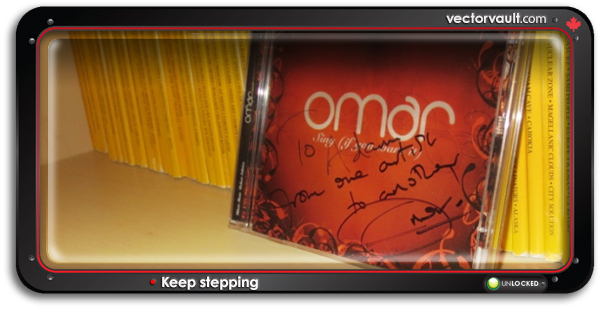 Omar’s music has been my creative fuel since I was in high school. Toronto college radio (CKLN, CIUT) first introduced me to his music. Long before the internet, there was a time in this city where underground parties allowed music like his to thrive and take hold. Those people remember. 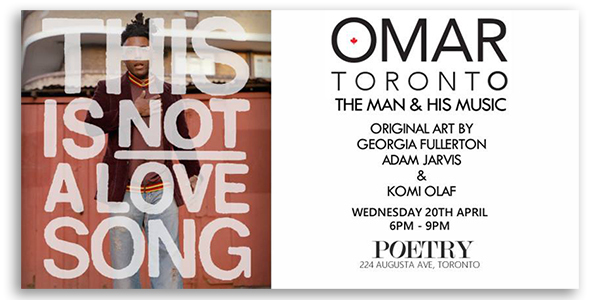 The torch has been passed to iLive Radio to keep Toronto’s love affair with Omar’s music growing. Discover more here. Music used to be something you hunted for. Not downloaded. Sought after and treasured. Today, I’m 44. Married with 2 kids and a mortgage. Yet his music remains in rotation in our house. Our kids love his voice. Jason Henry, Principal at iLive Radio brought this concert to life with his team. 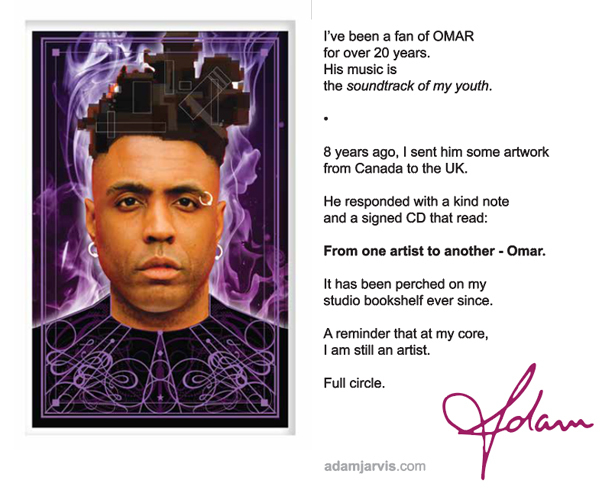 In addition to the poster and media kit that I designed, he also invited me to also contribute 2 pieces of art to a show celebrating the music of OMAR. I accepted, and immediately got to work trying to remember what it felt like to be an artist again. I’m not going to lie: It felt pretty great. The first piece is entitled: A decade overdue. It’s a dimensional recreation of the poster I made for the concert. 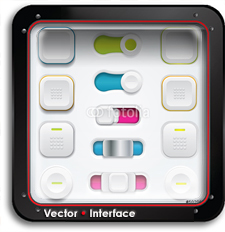 I wanted to incorporate some of the skills I have developed in the world of retail point of sale design. The second piece is entitled: I’m still standing. 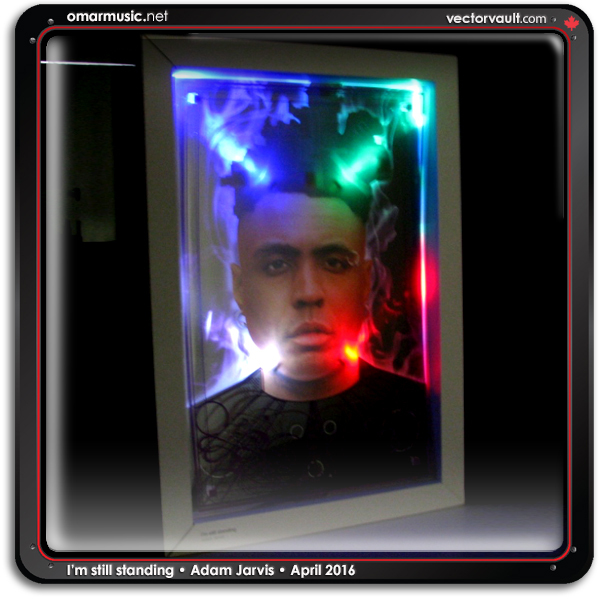 Not only is it one of my favourite tracks from his album For Pleasure, it also holds a personal meaning for me. In my darkest times, I have been reminded to put one foot in front of another. Perseverance is vital to an artist’s survival. 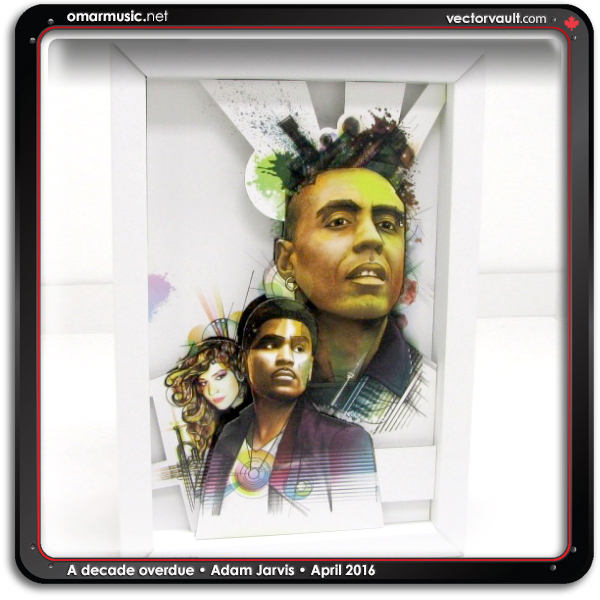 It’s one of the reasons why Omar is still relevant and so well-respected across a wide spectrum of music. 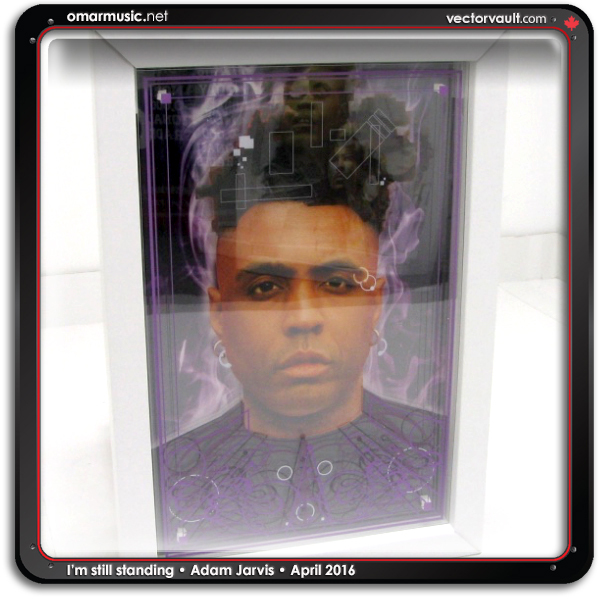 For this one, I decided to build a portrait that showcases the depth of his music. I split it into 4 layers. 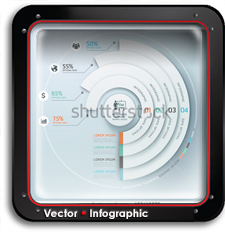 Printing each on clear plastic and lining up elements with care. The effect is a piece that looks different from every angle. The day of the show, I rummaged through my kid’s toy box to find some LED lights. My main man Naush die cut them in. Let me put it this way: When we met for the first time, I went in for a handshake. He went in for a hug. 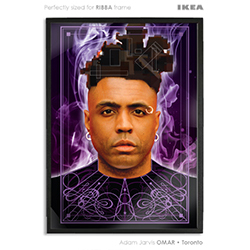 Not a concert poster – art. 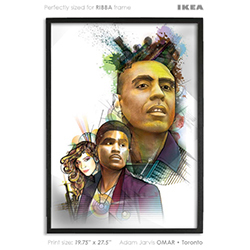 Choose from 3 sizes that fit IKEA frames exactly. 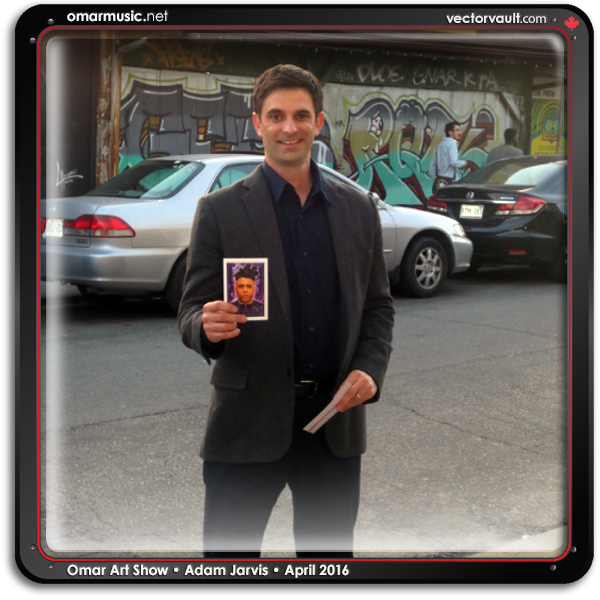 I shared this event with two incredible artists. Read more about “The Man” here in this media kit that I wrote and designed to secure sponsorship. Why did I go the extra mile on this one? Simple: There’s no half way to the top. A big thank you to Proprint for supplying all of the printing and finishing. And a special call out to Naush Ibrahim for designing the structures and assembling everything for me. 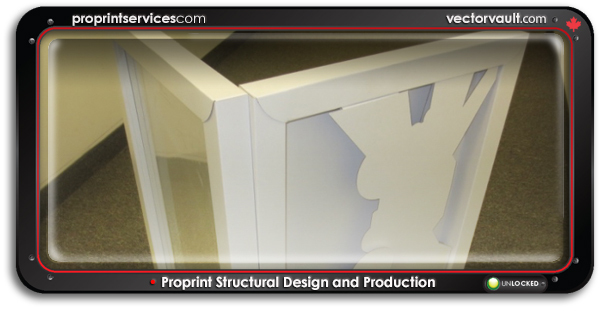 If you have a need for any retail POS displays or packaging, please reach out. I’m happy to make an introduction. 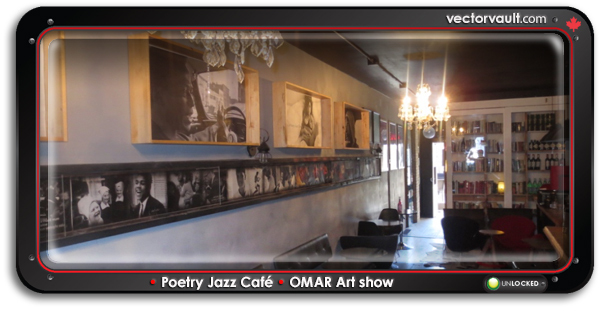 The Poetry Jazz Cafe was the perfect setting. Great vibe. This event will be one for the record books. Omar Lye fook ! How do you know him from Canada ? Isn’t he from UK ? It’s true, he is UK based. My friends from iLive radio brought him here. I happen to know that he is returning this summer. 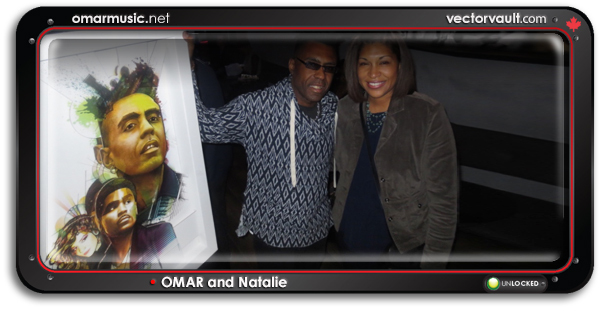 You have too see him live – amazing talent.